Yep, that’s a drill bit and it helps to deliver the right amount of food to your fish. There are all kinds of automatic fish feeders on the market, however most just dump the allotted food in one lump and typically can’t be programmed for an entire week of use. While this may not be a problem for some aquarium enthusiasts, it was for Brian (from Belgium). The fish enthusiast has a rather large 100-gallon tank complete with live plants and colorful breeds of aquatic life but he has a very busy life and spends large amounts of time away from home. While maintaining the plants or the cleanliness of the water aren’t issues when he leaves for a week, the fish still need to be fed on a regular basis. Obviously, there are automatic feeders on the market but hardly any with the ability to be programmed for long periods of time while delivering the correct food amounts. 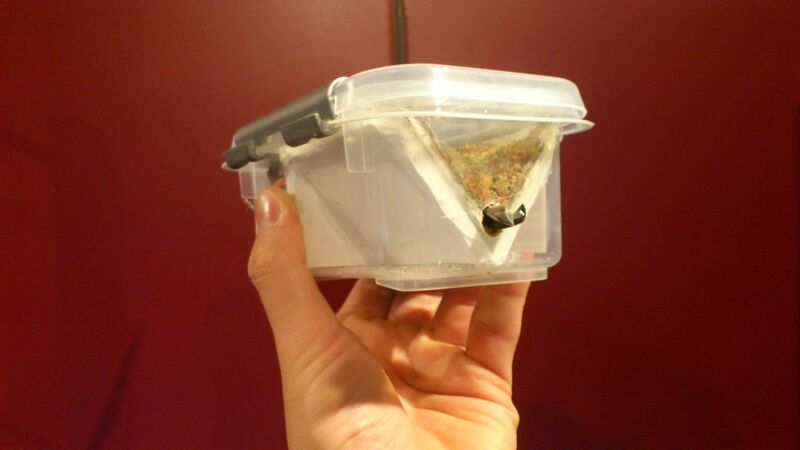 The completed housing fish feeder with compartments for the motor assembly and food compartment. 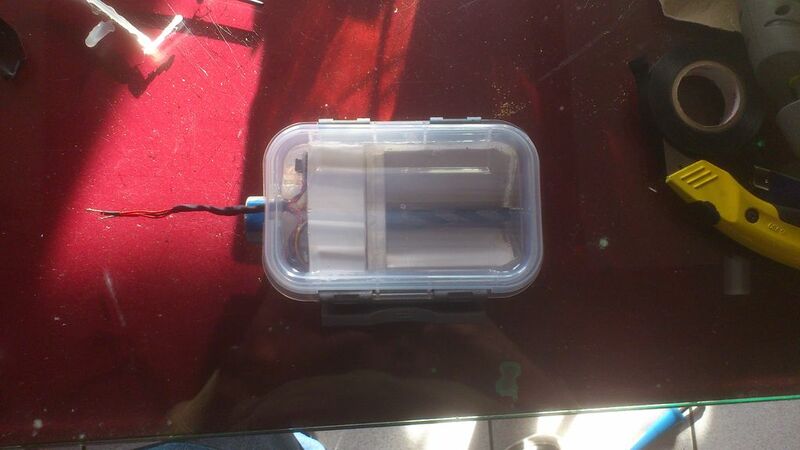 Like the saying goes, ‘if it doesn’t exist, build it yourself’ and build it he did using a simple plastic container, an Arduino Nano, stepper motor and a drill bit. The fish food sits on an angle inside the bin and the Arduino is programmed to start and stop the motor, which turns the drill bit that ‘pushes out’ the prescribed amount of food. It’s used in conjunction with an ordinary electric timer that supplies the power for those prescribed intervals. It’s safe to say his fish will be fed anytime he needs to leave, however the tank still can’t clean itself. Brian posted his design on Instructables for anyone interested in building their own.